Two of our team members were recently given the Writing & Rhetoric Book 1 and Book 2 by Classical Academic Press to use in their own homeschools and to review for you! This writing program is different than others in that, instead of simply providing a topic and having the student write on it (which is often difficult and discouraging for children), it gives the child plenty of models of great reading and writing to build on. It also requires the student to listen carefully, and it gives him/her the ability to move from one step to another at a pace that works for that particular student. Keep reading to find out how two of our moms used this program with their own children. I think you’ll find their reviews very helpful and interesting! My daughter hasn’t always enjoyed writing, but we’ve been afforded the opportunity to try Writing & Rhetoric– and so far, so good! 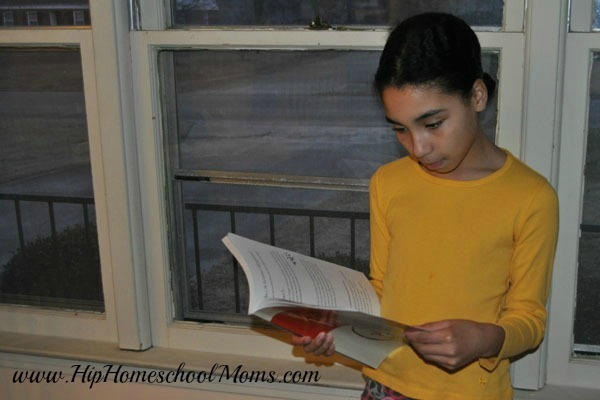 I found this program to be a wonderful addition to our homeschool. The Writing & Rhetoric program by Classical Academic Press has proven to be a very thorough introduction to writing. It uses the principles of modern classical education influenced by a Roman rhetorician Quintilian and 19th century British reformer, Charlotte Mason. This gentle approach to writing allows my daughter to ease into the lessons through the basic foundations of listening, narration (telling back), and writing her own narratives. It’s introduced slowly, concept by concept and building block by building block- and not thrown at her all at once. We are starting with Book 1- Fables, and will continue to work our way through the material. We’ve found that even with the suggested grade levels of 3-4, my 6th grade daughter is still challenged to really think through the morals of each fable and provide a detailed summary. 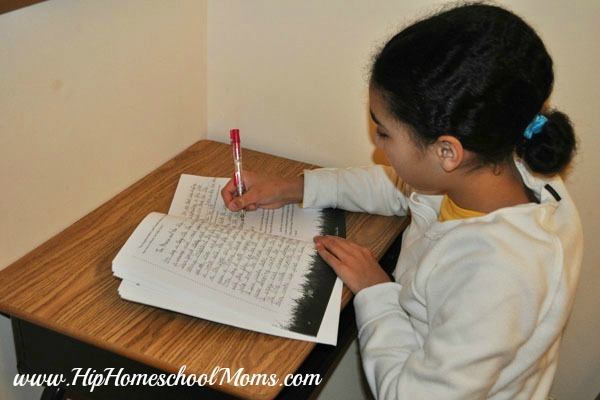 The practice of writing summaries prepares her to begin thinking more independently with her future writing. Terms such as “anthromorphism” and “amplification” keep the material just challenging enough while the constant repetition of listening to, reading the fables, and providing summaries gives her something to look forward to. The curriculum also includes copywork and dictation- all integrated to make this a powerful classical approach to writing. By the way, audio recordings of the fables are also provided to accompany the curriculum set. And finally, a student manual and a teacher’s guide is included. 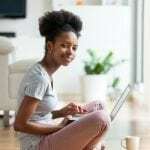 Overall, I think this is a high quality program and is serving the purpose of helping my daughter become a more comfortable and fluent writer- slowly and thoroughly. I am a writer by profession, which is much of the reason I desire that my children become good writers. All three of them have vivid and very creative imaginations, but that does not guarantee that when they put words down on paper that what they write will be well written and understood. Writing & Rhetoric Book 1: Fable and Writing & Rhetoric Book 2: Narrative are the first two installments in the Writing & Rhetoric curriculum published by Classical Academic Press that will include 12 books. The series begins with instruction for students in third grade and will continue for students through the ninth grade. The curriculum is a good choice for students who struggle with writing, but it is a great choice for those students who already have a passion for writing. My daughter Lily is a writer. You give her a blank piece of paper, and she will return it to you completely covered with words and a sense of creativity that needs to be nourished. Writing & Rhetoric makes that very easy to do. The curriculum addresses the needs of a student who requires guidance in constructing and formulating ideas to create a written piece of work. Writing & Rhetoric takes a different approach than traditional writing programs. Rather than requiring the student to “pull a rabbit out of his hat,” the student is introduced to good writing forms of already written and published pieces, and from those he/she learns how to create his own well-crafted writings. The student is presented with a fable/story to narrate. Next, he can study the content of the story in a more thorough manner by identifying points that writers cover or questions they may ask themselves when creating a well written piece of literature. From there, the student rewrites the story. At this point, the student is asked to be creative, which is easier for him, because he has a good foundation – the original fable/story. He is not copying the story, but rather enhancing it with his own point of view, which requires thinking and creativity. My daughter loves to present whether it be in dramatic form on the stage, the reading of a book or just in everyday life. The lessons include the recitation of the story the student writes as part of the writing experience. Again, the story that the student presents is not a retelling of the original, but instead a variation of the original in the own words of the student. 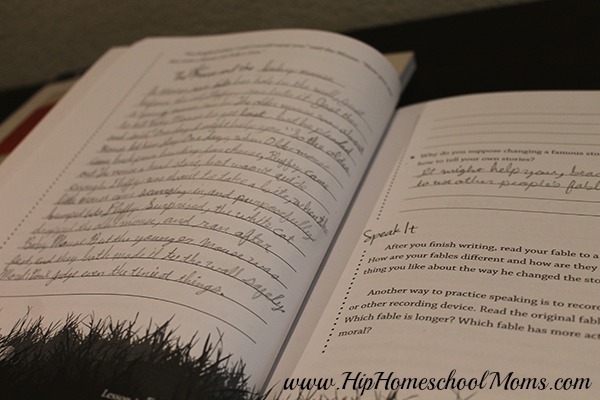 Copy work and dictation are also covered, which gives the student practice in penmanship and the art of really hearing, listening, and understanding what is being spoken. He is not only listening to the story, but also the structure or the way words are being constructed to form what has been deemed as good writing. Day One: We read the story together and she completes the Writing Time assignment, which consists of copywork and dictation. Day Two: We cover sentence play that requires more creativity on her part with the reworking of different parts of the story with her own interpretation. Day Three: She rewrites the story/fable. Sometimes the character(s) or storyline is changed, but this is where she is able to really practice her writing skills. Having the original story/fable as a model presents the proper way to write and enables her to create her own story based upon the components that exist in the original writing. Day Four: Lily recites her story to an audience, which consists of her siblings and me (and whomever else may be visiting our home that day). At first, it seemed to me that Lily was just rewriting the story, but what she created was an original. Just by changing one character, she was able to create a completely new story. If you are familiar with the fable “The Lion and the Mouse,” which presents the idea that size has no bearing on capability, then imagine the same theme using a fly instead of a Lion. When the books arrived in the mail, her excitement to begin using the curriculum was overwhelming. I knew that it would be a good fit for her, and we are hoping to continue with the curriculum as the next editions are released in the upcoming years. My only comment for improvement would be to use spiral binding on the student workbook so that the book will lie flat when the student is completing the course work. That small adjustment will make the writing experience so much easier by eliminating a floppy book. 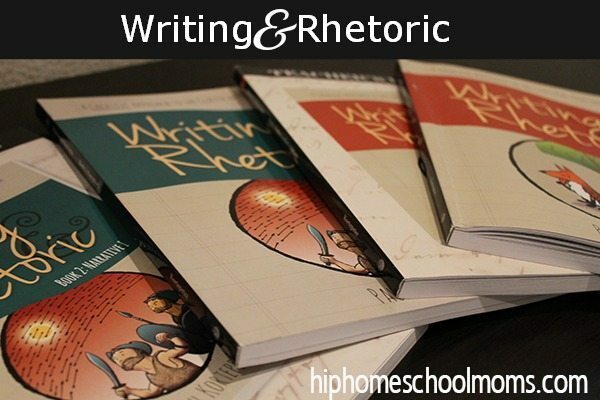 If you have a student who loves to write, then the Writing & Rhetoric curriculum is definitely one that you should consider! Do you have a struggling writer? Do you think a program like this would be helpful to your student? I have the first book set in this series. We haven’t started it yet but I am definitely planning to use it after we’ve finished out the year with our current program. I love the way it teaches – it’s gentle but thorough. I had not seen this yet but like it and think it might be something I could use next year with both my 5th and 3rd grader together. Do you need both the Student and the teacher book or can you get by with just one? I would love you to email me and let me know! Thanks for the review! Thank you for the great review. Hearing your experience was very helpful. I, too, find that using student books with glue binding is akin to putting cats into bags. I take mine to FedEx Office (kinkos), have the cut off the binding, then spiral bind the book. Ahhhh! I do this for so many things…. bible studies; Story of the World activity books that had the activities in the front and student pages in the back – well I wacked off the spine, spiral bound (with the covers) the Activity portion, then 3 hole punch the student pages and slip into a binder until needed. You get the idea.